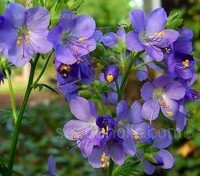 Jacobs Ladder is an easy perennial to grow and is a very attractive plant for a border with moist but well-drained soil. 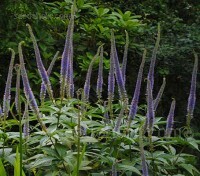 The plants form a lush mound of deep green, ferny foliage, bearing upright stems with an endless succession of star-shaped blue flowers with contrasting yellow stamens. 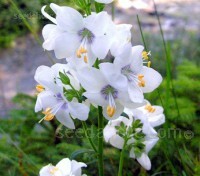 The white form of the lovely Jacobs Ladder, named after the slender, fresh green leaflets arranged like the rungs of a ladder. 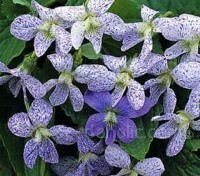 Blooming in late spring to early summer, the bright foliage and white flowers will brighten shady locations. 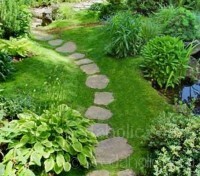 Both the flowers and the attractive ferny foliage are excellent for cutting. 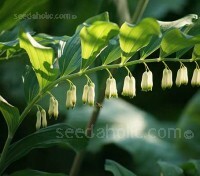 Polygonatum multiflorum is a long cultivated pan-European perennial. Alternate bright green leaves are held upright like the wings of a bird on the upstroke of flight. 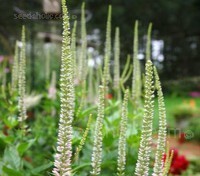 Tubular white flowers, edged with tiny lime-green petals spring from their axils in spring. 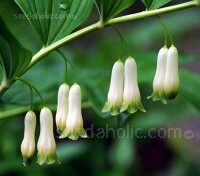 Whether you know it by its scientific name or the more poetic and biblical variant, this is one of the most elegant and graceful of all shade garden plants. 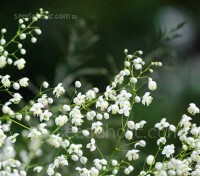 Arching stems, bright green elliptical leaves and pairs of sweetly scented, ivory-white flowers. 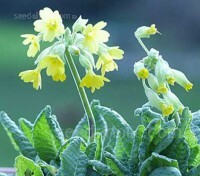 One of the most striking native primula species, this is best grown in groups, especially if naturalised in grass. The fresh green rosettes of crinkly oval leaves are covered in velvety hairs, rolled inwards as the flower buds form in spring. 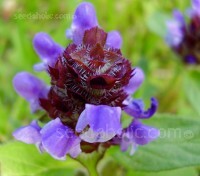 Prunella vulgaris is an interesting and quite beautiful little wildflower plant. 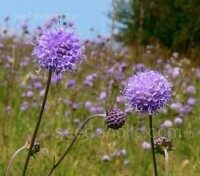 The plants produce pretty blue-violet flowers in summer, the flowers freely produce nectar and are highly attractive to bees. 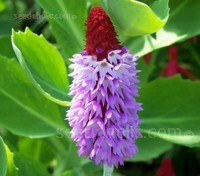 If you’re looking for something to add to a meadow garden, or something for those shady areas this is the plant for you. 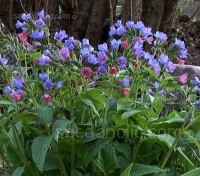 Pulmonaria obscura is an extremely rare species. Known from just three small locations in adjacent ancient Suffolk woodlands, covering an area of 18 square metres it has only 600 individual stands. 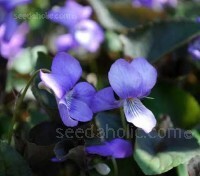 One of the first perennials bloom in spring, the flowers are light red, changing to purple and to blue at maturity. 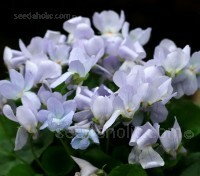 Blue is such a vivid colour in the crystal-clear light peculiar to early autumn. But it's rather a rarity so the airy wands of small blue buttons found on Succisa pratensis are a particular blessing from August to October. 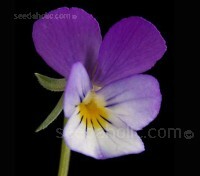 This little wildflower is a very versatile plant and worthy of greater appreciation. 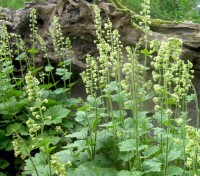 Related to Heuchera and Tiarella, Tellima grandiflora form a tidy clump of rounded leaves and are topped by lime-green airy spires. 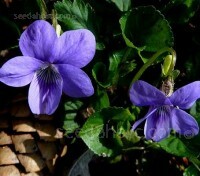 They make excellent groundcover, thrive in shade between flowers in a border and make a good filler for separating strong shapes or bright colours. 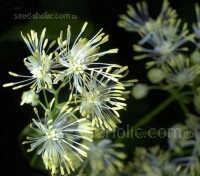 The pure white form of Thalictrum delavayi is absolutely exquisite. ‘Album’ blooms with sprays of pure white flowers that create a delicate snowy haze that wafts above other late summer perennials. Marketed as 'Blizzard' and 'Sternenhimmel', which translates as 'starry sky', the seed-laden stems are particularly effective in silhouette and the flowers are best seen against a dark background.